"A clear, concise, step–by–step approach to developing a financial life plan, Financial Independence: Getting to Point X provides readers with practical action steps to make progress in addressing their goals. The book not only provides a road map, but also includes real examples of how to implement the strategies based upon your situation. A must–read for everyone who wants to educate themselves with a practical approach to identifying and pursuing their goals." "A critical read dealing with one of the most dangerous threats to our nation and its citizens financial literacy. No matter where you are in your financial life, you will find this book contains advice and wisdom that is timeless." "The book is an excellent resource for anybody, whether just entering the business world or you need an explanation that is understandable. The case studies are informative and really summarize the chapters. I know that I will recommend it to my students in my practice management program." 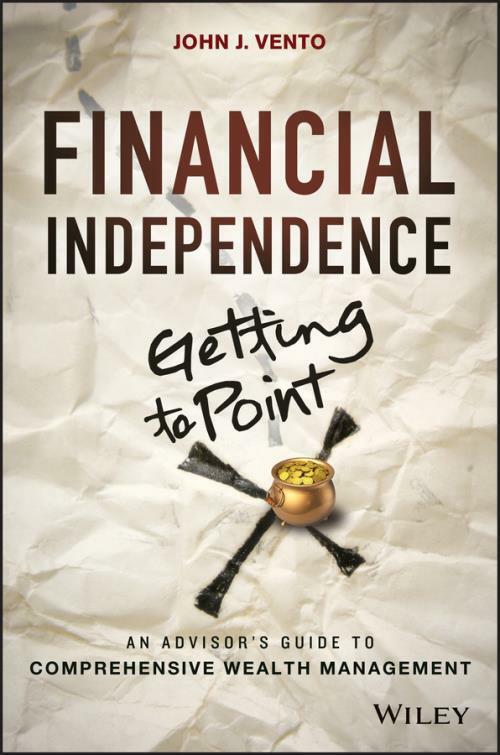 "Financial Independence is simply a must–read! John Vento has done a marvelous job in providing the necessary up–to–date tools needed by all Americans of all ages in fulfilling their dreams. This book is written in simple language and offers definitions, anecdotes, tips, guidance, and solutions to life–cycle′s financial issues and concerns. Bravo John!" "John Vento has done a terrific job in providing practical insights and sound advice about the pathways to achieve financial independence. This book should be on the ′must–read′ list for anyone seeking insight into comprehensive wealth management in these difficult economic times. I applaud him for his thoughtful approach to the subject."